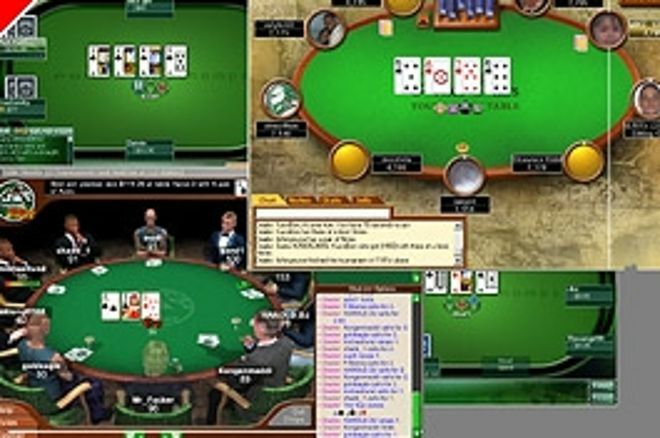 Finally, Full Tilt had the $500 Main Event of their FTOPS (Full Tilt On-line Poker Series) on Sunday night. This tournament attracted entries from 1468 players and created $730,000 in prize money to be dished out. Again, this amount of players and such huge prize money created some slow action and it took almost exactly 9 hours to produce the victor, who was ‘crownnginger’ who took home $161,480 for their first place finish. One notable finish was Ben Roberts, who managed 6th place and along with Howard Lederer and Roland De Wolfe keeps up the good run of the bigger ‘names’ who have cashed in this years FTOPS events. Here is a list of the final table results and those all important payouts.